Attention all aspiring and enthusiastic astronomers! Universe2go and telescope maker Omegon will be attending the Northeast Astronomy Forum on April 9th & 10th! NEAF is the World’s Largest Astronomy & Space Expo, with this year’s expo featuring Pluto Mania! Highlights include: Principal Investigator of the New Horizons Mission to Pluto, Alan Stern; NASA Eclipse specialist, Fred Espenak; and Mission Operations Manager, New Horizons mission to Pluto, Alice Bowman! If you are a seasoned astronomer, amateur or even just interested in the Universe, come check us out in Suffern, New York at NEAF. Once there, you can get your hands on a Universe2go and test out some of our Omegon astronomy products!!! 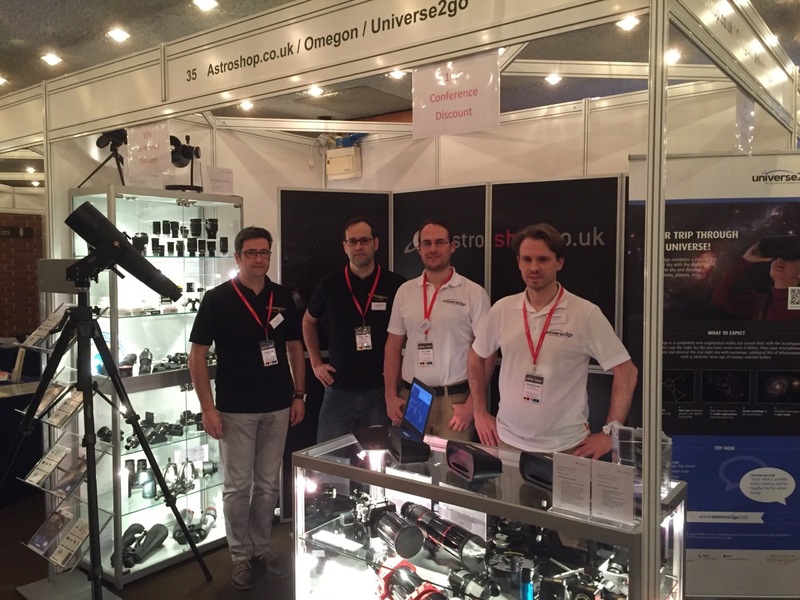 The Universe2go/Omegon booth at AstroFest in London this past February. We look forward to seeing you there! If you can’t make it, check back here for updates during and after the event!